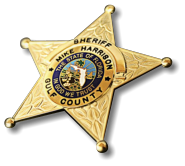 The Administration Division is the hub of the Gulf County Sheriff's Office. Led by Captian Chris Buchanan, the division handles matters involving everything from answering the non-emergency lines to the office's financial budget. Four non-sworn employees, one which operates out of the Wewahitchka Substation, are in the division and are responsible for the agency's records, including the disbursement of records to the Clerk of Court and Office of State Attorney; public records requests; civil processes; and warrants. The Sheriff's Financial Director oversees the financial budget including accounts payable and payroll. The division also manages the Sheriff's fleet, information technology, and department purchases.